The Lynx™ PDA combines the latest technology in a pocketable and robust package. 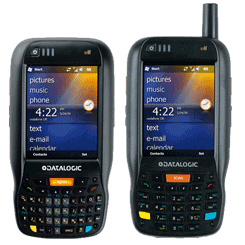 This state-of-the-art PDA features an 806 MHz processor with 256 MB RAM and 512 MB Flash, all delivered in the industry’s most appreciated ergonomic form factor. 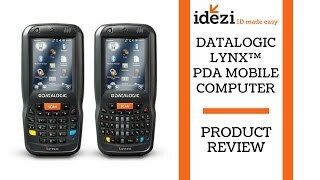 Capable of Scanning: The Lynx PDA comes equipped with either a 1D laser scanner or a 2D bar code imager. For emerging applications requiring evidence of task execution or damaged documentation, an autofocus camera is included with a built-in flash providing a solution to collect and document with photos. The Lynx PDA offers excellent aesthetics complimented by industrial robustness that survives indoor and outdoor usage. A high drop resistance rating ensures the ruggedness of the Lynx PDA.